Many businessman transplanted to the Land of the Rising Sun has come back with tales of culture shock and bewilderment. To us in the West, Japanese culture remains a mystery wrapped in an enigma. But beneath its perplexing surface lies an extremely productive and effective society, as evidenced by their economic muscle. 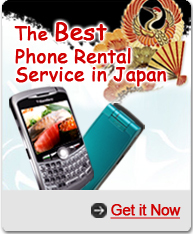 Nonetheless, the Japanese are rigidly ceremonious when it comes to making deals. To the foreigner, or gaijin, as the locals call them, Japanese business customs seem so deeply entrenched in their foreign culture and traditions that they couldn't possibly work for us in the West. But look past the rituals themselves and you'll see concepts that are well worth emulating, such as respect for elders, attention to detail and an almost religious commitment to having fun after work. Here's a breakdown of tips we can learn from our brethren in the Far East.